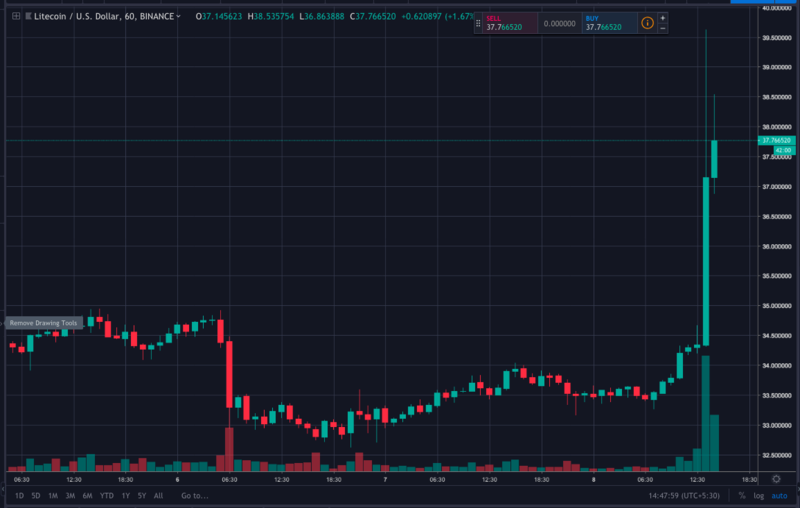 Litecoin has climbed above Bitcoin Cash and EOS and staked claim to 4th position with a market cap of $2.2 billion while seeing a surge of over 10 percent in the past 24-hours at $37.02. Litecoin is currently the highest gainer among the top cryptocurrencies as it sees a surge of more than 10 percent. While other cryptos viz. Bitcoin, Ethereum, XRP, Tron, and EOS in the top are either in green around 1 to 2 percent or in red like Stellar, Litecoin has beaten them with a good margin. At the time of writing, Litecoin has been trading at $37.02 with 10.83 percent gains in the past 24-hours. In the BTC market as well, it is up by just over 10 percent. With a market cap of $2.24 billion, this cryptocurrency has staked claim to 4th position by leaving Bitcoin Cash and EOS both behind. 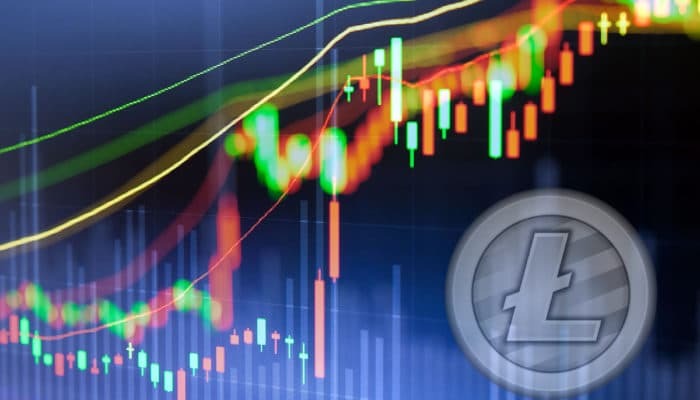 With the current uptrend, it is possible Litecoin will cross the $40 mark easily, however, it is to be seen if the digital asset would be able to sustain the gains or will fall back to its previous price levels as usually happens in the crypto market. Another possibility for Litecoin price is to have an uptrend from here as crypto trader Moon Overlord had shared last week. For the past few days, Litecoin team has been exploring and having discussions on implementing privacy and fungibility. They have already started making development in this direction as we reported yesterday that Litecoin Foundation has collaborated with Beam for Mimblewimble implementation. Looks like Litecoin Foundation is hard and fast at work as first rebranding then debuting in a mammoth film festival and now adding privacy and confidential transactions on Litecoin. Also, Litecoin block reward halving clock is ticking with 180 days left for the coin reward halving that will decrease it from 25 to 12.5 coins which are expected to be a bullish event for Litecoin price.